How easy is it to go green at home? If you can, as the saying goes, start where you are, you can make some big changes quickly and easily. 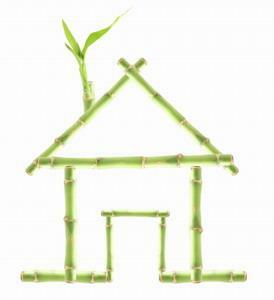 What's more, you are going to find out that going green is going to save you time and money. It's all about a little expression your grandparents and great-grandparents, who grew up during the depression and WW11, had that you and your family can adopt as you go green around your house - "Use it up, wear it out, and make it do, or do without". Anything that is broken, break it down as far as you can into recyclable parts. If it is something worth mending, then take it to your car and to the expert who needs to fix it. Go through all your clothes, linens, household items and garage appliances, and see if you can pass on things that you are no longer using. Try arranging a green garage sale and having $1, $5, $10, and $20 tables. Either use the money to stock up on green products or donate the proceeds to your favorite save the world green project. Anything left over from your sale can be donated if it is gently worn and still working, or again, broken down for recycling. Once you have de-cluttered your space, make a vow to yourself to take a look at everything remaining in your home. From this point forward, everything that goes in and out. Stop wasting money and buying too much of anything that goes to waste. From fresh produce wilting in the crisper bin, to meats dead of freezer burn, if you are buying it and not consuming it, you are adding to the individual amount of trash each member of your family produces every year. Tap water is fine to drink. It is also fine to purchase separate jazzy colored water bottles for every member of your family. Go ahead - refill them as much as you want, refrigerate them, wash them and re-us again. When they break, that is when you replace them. If you do not have enough recycling bins, then call your county recycling center and ask for more. Still do not have enough - then turn 13-gallon plastic trash baskets into recycling bins. Have them easily accessible and use them! Again, remember to try to break down everything you can into recyclable parts from cereal boxes to plastic jugs (which, if you remember grade school, still can be turned into bird feeders, plastic scoops, and even seed and plant protectors in the garden). 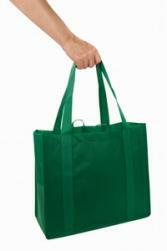 Invest in re-usable store shopping bags or re-use plastic bags you have already from grocery stores. Those same plastic bags can also serve as small trashcan liners, and dog-doo picker-uppers. Make a conscious effort to use them up effectively and do not use them if you do not have to in the future. Learn how to make your own kitchen and household cleaning products. If that does not appeal to you, buy environmentally friendly cleaning products or at least ones where you can buy re-fills and use the same bottle over again. Yes, investing in those new light bulbs that last for several years is great, but how much more effective would those be if you and your family commit to turning off any light, any computer, and any electrical piece of equipment when it is not in use. When you make that a habit, you can move to unplugging things (many appliances and electrical devices continue to draw energy when left plugged in). Utilize your local library for books, DVDs, and even CDs. Pop your own popcorn and have movie and game nights at home. Hold a toy exchange and switch items with other families on the block. The idea is to buy less and become a wise consumer of even entertainment items. Do you have to own it if you can just as easily borrow and share it? When you think of painting and re-furbishing these rooms, use [environmentally friendly paint without any toxic chemicals in them. These are better and healthier for you and the environment. Learn how to sand, stain, and paint furniture or take a sewing class and make new slipcovers and chair covers for your home. Look within your home and what you have on hand to refresh your décor. Add some plants to these rooms to help restore more oxygen to the air, and turn off the AC, and trying use overhead fans, thermal drapes, and even open windows to maintain an even temperature in your home for at least part of the day during the summer. As items wear out replace them with energy efficient ones, including low-flush toilets and sinks with timed water faucets on them. Get rid of that rain shower showerhead and install water saving one. Use a timer and keep showers to five minutes. Yes, and turn off the water when you are brushing your teeth, shaving, or washing your hair, turning it on only to rinse with. Use the cold cycle to wash your clothes in and they still make dryer racks that are great for drying those fluffy towels that take forever in the dryer. In good weather, hang a clothesline and enjoy the smell of fresh air-dried sheets. Try using a lower wattage bulb in these rooms. Turn torn t-shirts, matchless socks, and old sheets into rags to clean up messes, wash the car, and dust the house with during cleaning times. Set up a used sporting goods bins, when kids outgrow equipment, donate it to a local school or after school club for other children to use. By adopting a wise consumer philosophy, buying less,using up and wearing out what you already have, you will learn how to go green at home in no time.